JetBlue’s always boasted about its free checked bags, livable legroom, and unlimited, awesome Terra Blue Chips. But all that's about to change. Except the chips. You'll still get the chips. In an effort to solve its financial troubles, the airline announced Wednesday it's going mainstream by adding checked bag fees in 2015, and 15 extra seats to its cabins in 2016. Yay, more fees and less legroom! The changes come with three new fare classes, and travelers flying coach will no longer have one piece of free luggage. Of course, complimentary checked bags will continue for the top two tiers of service. The cost for the plebeians in coach hasn't been revealed yet. As for the lessening legroom, JetBlue will bump up its seat capacity from 150 to 165 on its Airbus A320, shaving approximately 1.6in from the space between your knees and the seat in front of you. That means everyone will get a meagre 33.1in. Clearly JetBlue didn’t get the memo about the recent legroom wars; turns out, people are willing to duke it out when they're uncomfortable. According to the Wall Street Journal, the airline expects the changes to increase its annual operating income by $450 million by 2017. 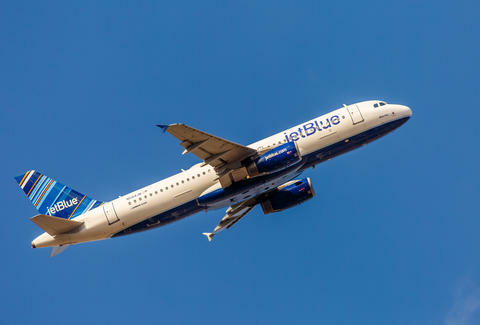 It's all about the Benjamins, even for JetBlue. RIP, airlines giving passengers creature comforts without having to pay for them. No amount of Terra Blue Chips will make this cool. Animal crackers, though... maybe.